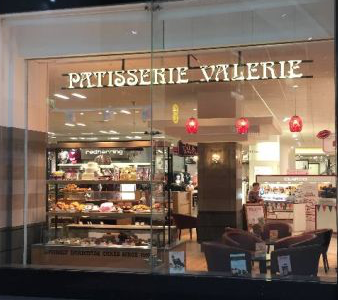 Mike Ashley, the founder of Shirebrook-headquartered Sports Direct announced his bid for the Patisserie Valerie chain on Friday evening, but cancelled it shortly after. He offered £15m for the company but was informed by the administrators that they would need to up their offer by £2m, according to reports in the Financial Times. Patisserie Valerie collapsed last month after a £20m black hole was found in its accounts. The firm which employed some 3,000 people saw 70 outlets closed by KPMG, the administrators, costing some 900 jobs. 121 outlets still remain open, while a buyer is found. Mike Ashley, who has made a name for himself recently for snapping up struggling retail chains, was just one of many interested parties according to reports. One of the competing bidders is thought to be Costa Coffee. Ashley bought House of Fraser last year, followed by Evans Cycles and Agent Provocateur. His company also has shareholdings in French Connection and Game Digital, he also entered the bidding war for American Golf. More recently, as Business link reported last week, he made a move for HMV but was pipped to the post. However, he is still reported to have Sofa.com in his sights.